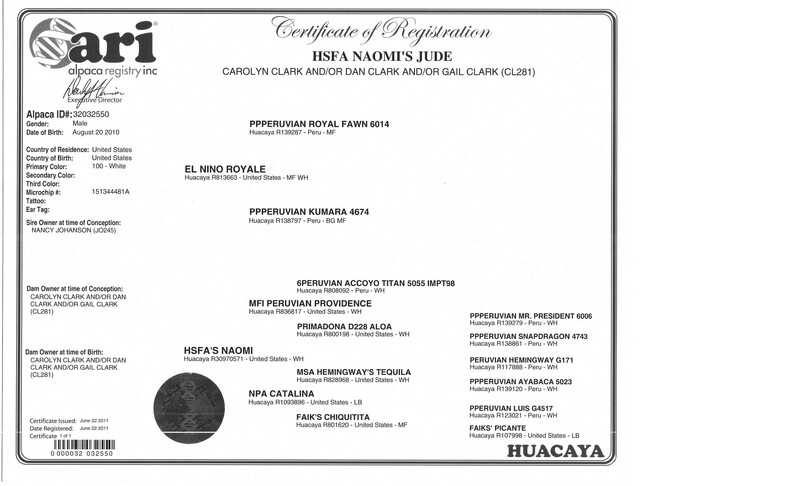 El Nino Royale is the one-half Accoyo son of PPPeruvian Royal Fawn. His regal stance and handsome typey head show the strong full Peruvian lineage and his dense soft fleece completes the picture. 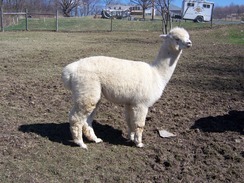 He retains the softness of his fleece even as he ages and his conformation is perfect. 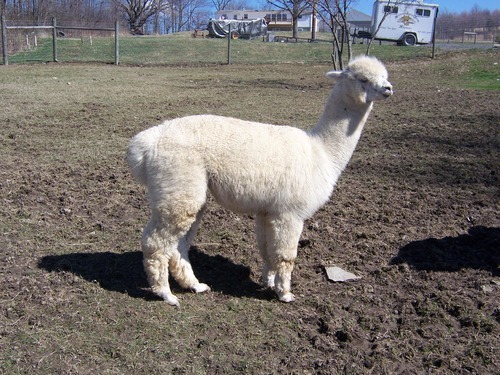 El Nino is an eye-catching alpaca. 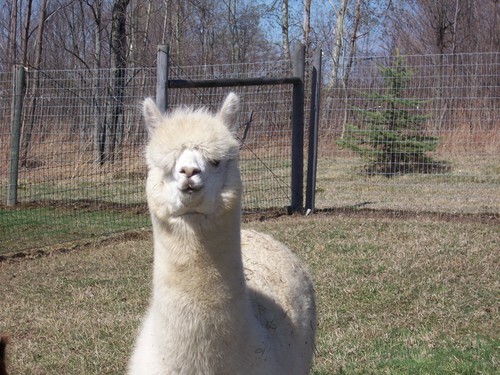 Naomi is a beautiful large girl with an abundance of soft dense fleece. She has a wonderful pesonality making her easy to work with and fun to be around. Peruvian Hemingway is in her lineage from her dam NPA Catalina and she carries the outstanding characteristics of her sire, MPI Providence. Jude is a beautifully fleeced white boy with impressive bloodlines. His sire, El Nino Royale, is a son of PPPeruvian Royal Fawn and his dam's lineage is remarkable. 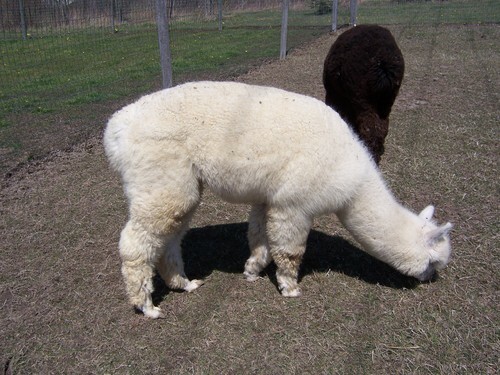 His dense fleece had a micron count of 20.7 with only 1.6% over 30 microns at the 2011 shearing. The 2012 shearing micron count was 19.6 with only 1.3% greater than 30 and the 2013 count was 21.0 His fine crimpy fleece is luxurious to handle and he produces a lot of it! Jude is not proven as we needed to halt our breeding program due to space limitations. However, he is ready! !